Well to say its been a busy summer is an understatement. Photographing wedding receptions, visiting Poland for two international magazines and snapping a national beach tennis tournament have been a few of the projects i’ve been lucky enough to be involved in. This is also the reason for the lack of new posts for a while. 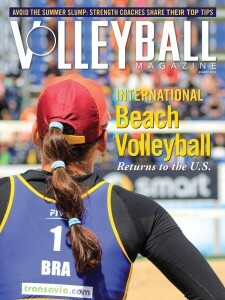 One project that I promised to give an update about were the photos and story I created for the Volleyball magazine. I’m delighted to say that the story is now in the current issue on the shelves of bookshops around the US and further afield. And… they decided to use my photo for the magazine’s cover. A very happy surprise indeed and a great few days spent on the windblown Scheveningen beach watching these top athletes duke it out. I will be including the magazine story on my writing and photography pages if you would like to check them out. Plus in the near future I’ll be making more updates about the previously mentioned projects plus some others.